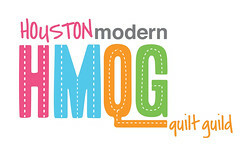 I am super excited to announce that I am going to be participating in the Bloggy Olympics 2012! Each week there is going to be a new event, and the hosts will post tutorials on their blogs that coincide with the theme. Then at the end of the week, there will be a link party for everyone participating to post a link to their project! I am really excited about this because it will be great motivation for me to get a bunch of my to-do list projects done, and it will be great exposure for Young Texan Mama. Here is the schedule and info for anyone who wants to join in the excitement. You can head on over to Hating Martha and check out her awesome DIY area rug tutorial, and then swing by Delicate Construction and see her reversible mantle decor tutorial.